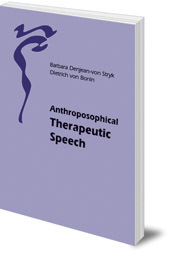 Written for speech therapists and doctors, this book gives a precise, practical summary of anthroposophical therapeutic speech. Speech formation, or creative speech, is based on the ancient art of recitation and drama, and was revived and fundamentally redeveloped by Rudolf and Marie Steiner in the early 1920s. The therapeutic work is based on speech exercises and indications on how to use them, which were given by Rudolf Steiner. 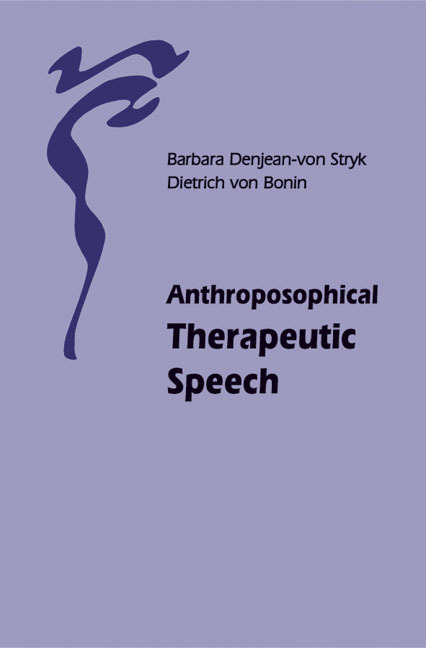 Barbara Denjean-von Stryk studied anthroposophical speech formation in England, in Germany, and under Christa Slezak-Schindler. She teaches speech formation in Germany and Switzerland, and has a practice for therapeutic speech. She is the mother of three children. The Assessment Form found on pages 179-183 of this book is available to view or download for free in PDF format. Click here for more information.